Moreno's Personality Theory and its Relationship to Psychodrama discusses Dr J. L. Moreno's theory of personality and its relationship to psychodrama from the philosophical, developmental and therapeutic aspects. It provides a theoretical model, based on Moreno’s personal experiences, combining existential-theological worldviews with a developed personality theory. 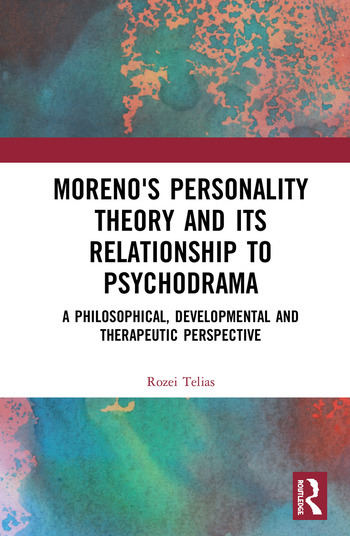 Giving an integrative and critical discussion and analysis of Moreno, personality theory and psychodrama, Telias invites the scholarly community to revive the interest in Moreno’s important work with this book that fills a gap in the theory of psychodrama and sociometry. The book analyses Moreno’s work from six interrelated perspectives: theory and Moreno’s biography, the philosophical-theological aspect, the developmental approach and role theory, and psychodrama and sociometry. It begins by exploring parallels between Moreno's biography and his theory of self, examining the development of the concept of Godliness in different stages of life. It then considers Moreno's philosophical-theological perception of the self, Moreno's theory of the development of the self, the significance of the concept of "role" in Moreno's theory, and how the personality theory can be viewed through psychodrama. Giving up to date reflections on Moreno’s contribution and writings, this book brings a new perspective and will be of great interest to academics and postgraduate students in the fields of psychodrama, sociodrama, creative arts therapies, existential philosophy and intellectual history. Rozei Telias manages the "Theater of Life", an institute of Psychodrama and negotiation training.